This production closed on December 7, 2014. Beware the Ides of March, Caesar. Julius Caesar returns home victorious, securing both unparalleled power and popularity. Fearful for the Republic and driven by their own ambition, several senators conspire to assassinate the Roman dictator in the Capitol. However, their brash move plunges Rome into chaos and threatens the very democracy they swore to uphold. In the shadow of the nearby Capitol building, Shakespeare’s searing commentary on power, ambition, and democratic responsibility smolders just in time for midterm elections. 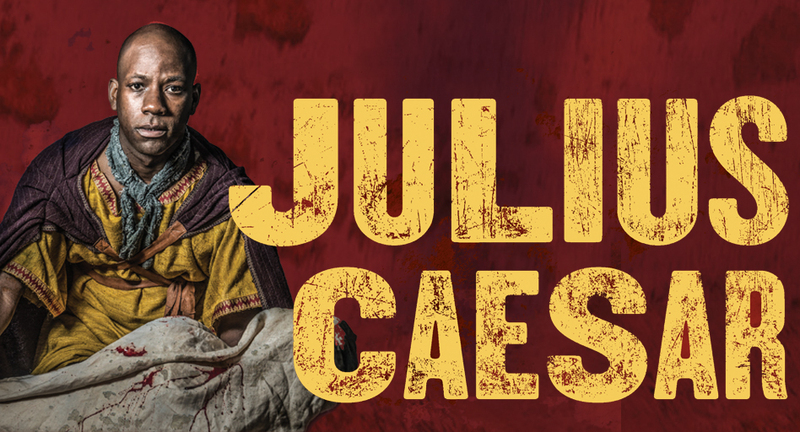 Visit Folger Digital Texts to view a detailed synopsis and download a free copy of Julius Caesar. Join us for a pre-performance discussion with actor Louis Butelli. A beer reception with light fare is included. $15. A scholarly, insightful discussion of the play with Folger Director Michael Witmore. Includes light fare reception. $15. Folger Theatre’s production is part of Shakespeare in American Communities, a national program of the National Endowment for the Arts in partnership with Arts Midwest.